“freedom of expression through fashion"
Welcome to Free Bird Boutique! 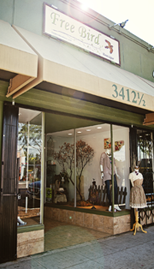 We offer an eclectic selection of contemporary, unique clothing, accessories and gifts with a bohemian flair. Founded in 2008, the name Free Bird Boutique was chosen to encompass an individual’s freedom of expression through fashion. Each item is carefully hand selected with love, while staying true to a “Free Bird” mindset, allowing us to provide unique and affordable fashion trends, merchandise that is charming for all generations. 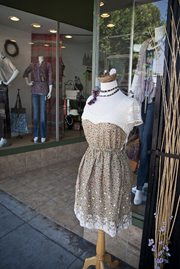 In 2010, Free Bird Boutique opened our first retail shop in quaint Magnolia Park District of Burbank, California. As a small, down-to-earth women’s boutique, we work hard to build strong customer relationships that are engaging and meaningful. In 2014, the online store was launched, www.freebirdboutique.com allowing us to bring our spirit directly to your door. Thank you for shopping with us. We truly appreciate your business.